Radio Goongoon bangla Radio Live Streaming Online . Listen over 100 bangla radio stations Online . Enjoy Live Stream of Bangla Music , News 24 by 7 Online . 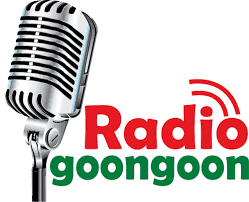 Radio GoonGoon Established on 23, September 2008 and officially launched on 26 March, 2009 from Australia . It successfully started net casting live from Bangladesh Studio on 16 December, 2009 through the whole world . It is trying to spread bangla Songs all over the world . This radio aim is to work with bangla Culture, folk songs and as well new generation bangla Songs . It is a 24/7 Live Online Radio . It has 3 Stations through the whole world . The main objective is spread bangla cultures among all bengalis all over the world. It has a large network in Bangladesh as well in abroad . At this moment Goongoon have Four studios, One in Melbourne, UK, China and another in Dhaka . It will remain free for the new bangladeshi bands , Singers , Musicians , Composers to broadcast their songs on Radio GoonGoon forever . But, the song must be their own songs . Dhaka Office Address : Address: Rahman Villa, 931 East Shewrapa , 3rd Floor, Mirpur , Dhaka-1216, Bangladesh . USA Office Address:36-50, 38th St, LIC , NY 11101, USA .